Here is some more news about Mindo Ecuador real estate opportunity. When Merri and I began to recommend investing in Ecuador real estate over 15 years ago a lot of our readers laughed. Not as many are laughing now. When we saw the great Ecuador real estate distortion and incredibly low prices, we scoured the country… top to bottom… coast to the high Andes. We invested in the Amazon… in a camp to help the natives there. We bought a hotel in Cotacachi. We have bought, built and sold houses, condos, apartments and office buildings in Ecuador’s Andes and on the Pacific. 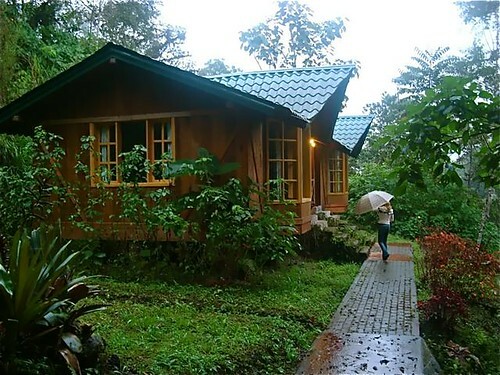 Yet there is only one property we purchased… our first that we doubt we’ll ever sell and it is in a cloud forest… near Mindo. Te beauty… the peace and quiet… the regularity of nature’s rhythm. The glory of the sunrise. the clear morning air the refreshing afternoon rain brings incredible peace and contentment. Plus there is still a lot of cloud forest opportunity. I have watched Ecuador real estate prices rise dramatically in the last 15 years. Yet most expats have settled in the highlands or on the beach… so buying pressure has not been so intense in Mindo and the Intag. This may change soon since one of Ecuador’s richest men, Roque Sevilla, is now betting on the Mindo Cloud Forest. We’ll see more about Sevilla’s Mindo plan in a moment. More and more people are coming to Ecuador to get a firsthand experience of what the real cloud forest is all about; much has been written, much has been said but there is only one way to experience it and that is to come and spend a couple of days. 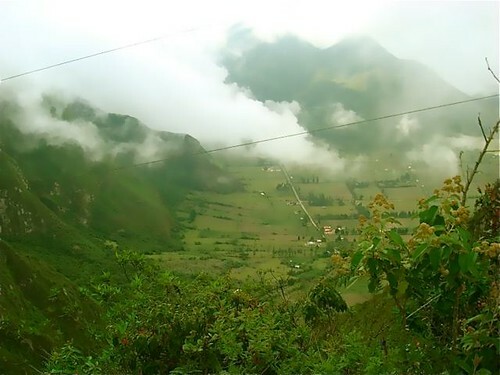 There are many areas in Ecuador where you can get a good feel of a primary untouched cloud forest; the closest is just two hours from the capital city of Quito where there is a pristine cloud forest around the little village of Mindo. Mindo has drawn a lot of attention for quite some time mainly because it has about 100 endemic species of birds that can only be found in that area and that alone has attracted the birdwatchers of the world, not to mention the flowers…. Here is a shot of a humming bird I took on, my last visit. 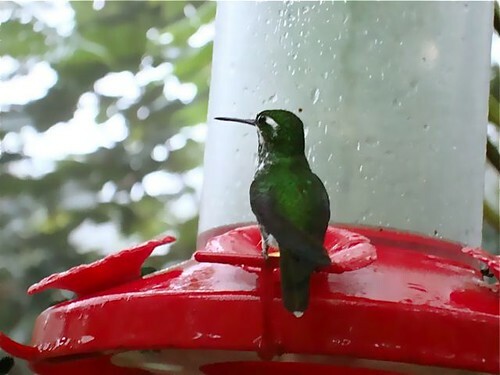 There are dozens and dozens of different humming birds in Mindo. There is business opportunity as well. Lately the president/owner of the biggest travel agency in Ecuador (Metropolitan Touring) has bought a huge tract of land there ; if one knows about Ecuador it should be him…. Our 2 day discovery of Mindo starts with a one hour stop at “Midad del Mundo” The Middle of the World. Here you can walk along the equator. Part two of the tour is a visit to a beautiful vista at El Crater at Pululahua. This is the largest inhabited volcanic crater in the world. for our first night. After lunch in front of the hummingbirds (there are more than 30 species) we will go for birdwatching cloud forest walk with a guide who will spot the birds (there are 1 to 4 hour walks so there is plenty of choice for everyone). The second day we visit in the morning about 20 minutes from Mindo the Arboretto project (www.arboretto-mindo.com); this project is unique and has a lot of appeal. – The project is located in a National Park that is “one of the best kept secrets in Ecuador” (Travel Monthly). where we will have lunch. We return to Quito around 8 p.m. on the second day. Tour Fee: $299 single $499 couple. Everything included except Lodging and food. The activities of one of Ecuador richest men, Roque Sevilla is below in a note sent by Swen Lorenz who is developing the Aboretto Cloud Forest community. Swen wrote: Huge tourism investor moving into Mindo? Here is something that I believe you will not have read anywhere else before. Having plenty of contacts in the Ecuadorian tourism and hotel industry, I just picked up the information that one of Ecuador’s richest men, Roque Sevilla, is making a move on Mindo. Roque, you have to know, owns Metropolitan Touring, the country’s largest hotel and tour operator. My sources tell me that Roque has just bought 1,500 acres of land near Mindo. And he is looking to purchase another piece of land of the same size. That’s one large property. What he intends to build there, has the potential to put Mindo onto the map – not just in Ecuador, but globally. Plans are afoot to build a 20 room, high end boutique hotel on this land. This hotel will have “eco tourism” written all over it, and it will make headlines internationally once it’s opened. One of the hotel’s features will be, that every guest gets to plant a tree. And of course, the entire hotel will stick to the highest possible standard when it comes to protecting the environment. The land will essentially become a private reserve. If Roque Sevilla is investing in Mindo, others will follow foot. “Metro”, as it’s commonly refered to, was the first tourism operator in the Galapagos Islands. Now, the Galapagos are earning 40% of Ecuador’s entire tourism income. You can read more about this successful entrepreneur and investor in an interview that is available online (http://www.winne.com/ecuador/vi05.html). The interview was done in 2003, but it still tells you what the essence of his investing strategy is. I contacted my contacts at Metropolitan Touring and obtained a brief “preview” of their project that is close to Mindo. “Metropolitan Touring is proud to present the innovative Mashpi Lodge, an elegant hideaway which will redefine traditional tourism. Ready to receive its first guests in 2011, Metropolitan’s newest project is for those who seek a different sort of jungle experience. Time and space will take on a different meaning as you become immersed in the deep green forest, exploring pristine landscapes such as the rainforest canopy (with the special Aerial Tram), viewing on-site cultural vestiges of the earliest rainforest dwellers, learning about the native flora and fauna and interacting with local people. 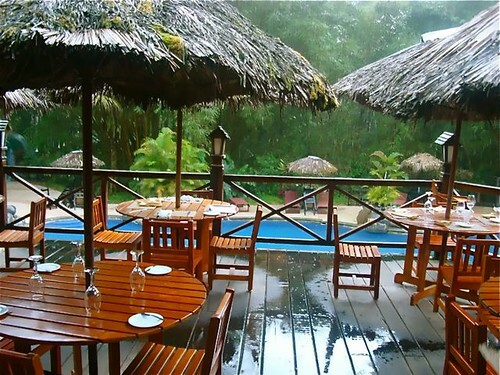 “Mashpi Lodge brings together first-rate service and the singular natural and cultural wonders of the Ecuadorian rainforest. Discerning and environmentally-aware visitors will explore the remote Private Rainforest Reserve – accessible only to guests –without sacrificing comfort or style. Mashpi Lodge features impeccable service and the utmost in accommodations, facilities and dining. It is being built to the high standards necessary to qualify as one of the prestigious Luxury Camps and Lodges of the World. “The 1103 hectare (2,725 acre) Mashpi Biodiversity Reserve is rainforest, and is located in one of the most important global “hot spots” of biodiversity: the Tumbez-Chocó-Darién. Considered one of the richest on Earth, it features an exceptionally high level of endemism. Beginning in southern Panama, these lush forests extend 1,500 kilometers (932.1 miles), southward along the western flank of the Andes Mountains, including the Pacific coasts of Colombia and Ecuador. 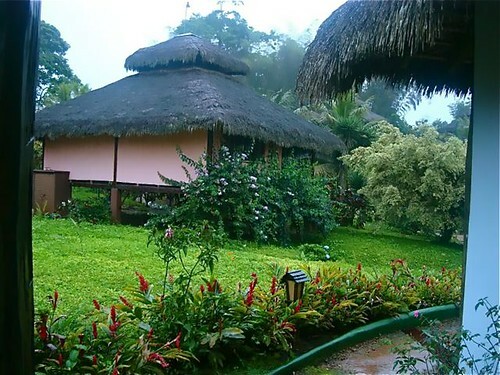 Mashpi Lodge features year-round access and activities. Swen went on to add. “I believe this will enhance the opportunity in our our own eco community Aboretto in Mindo. Read more about Aboretto it here.